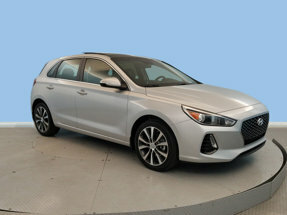 Trustworthy and worry-free, this 2019 Hyundai Elantra GT N Line lets you cart everyone and everything you need. Tire Specific Low Tire Pressure Warning, Side Impact Beams, Rear Child Safety Locks, Outboard Front Lap And Shoulder Safety Belts -inc: Rear Center 3 Point, Height Adjusters and Pretensioners, Electronic Stability Control (ESC). Window Grid And Roof Mount Antenna, Wheels: 18" x 7.5J N Design Alloy, Variable Intermittent Wipers, Valet Function, Trip Computer, Transmission: 6-Speed Manual, Tires: P225/40R18 Summer Performance. 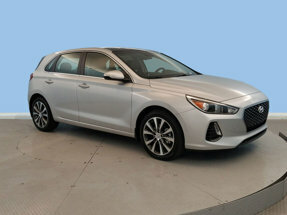 A short visit to Stevenson Hyundai / Genesis NC015 located at 2325 N. Marine Blvd, Jacksonville, NC 28456 can get you a dependable Elantra GT today!